“Nothing in ze world can stop me now!” It’s the line that was used by the mad professor in The Underwater Menace. The line (and the acting) was over the top and hammy and also completely wrong. It seemed like everything in the world was going to stop a DVD release of UWM. Like a rotting and bloated fish floating in the ocean it was being picked apart from all sides. 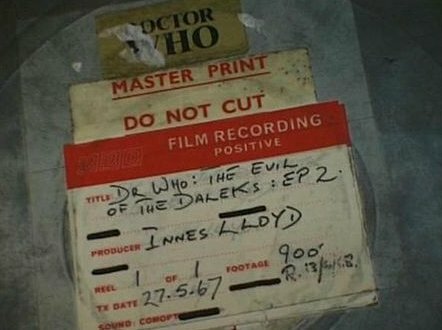 There were famous quotes about the classic Doctor Who DVD range being dead and Doctor Who Magazine very recently printed a story that UWM had been pulled from the release schedule. Not to mention all the speculation that it was being held back while animations were done or because Phil Morris had found more episodes. Now, after being declared dead in the water by the official Doctor Who magazine, we get a surprise treat. The Underwater Menace will be released October 26 in R2 (no date as of yet for R1). So, will it contain animations? Recons? Missing episodes? More than likely it will just be recons, but nothing has been officially confirmed. Stay tuned for TIMD for more details as they are released! Help Atlantis Rise! Saving The Underwater Menace! A few days ago I came across a post online regarding the status of The Underwater Menace on DVD. BBC WW seem to have no plans to release The Underwater Menace any time soon. Fans are up in arms with the delay and want reassurance that the story will be physically available at some point. Enter Chris McAleer. He has started a petition on change.org to get the story released. I asked Chris a few questions about the whole thing. Why did you start this petition Chris? I started the petition because, at present, it’s incredibly unclear as to whether BBC Worldwide still intend to release The Underwater Menace on DVD. Since its announcement, it’s previously at least held a place in the DVD release schedule – even if only an intended year of release – but as far as I’ve seen, this is the first time it’s been removed from the schedules altogether. This was a potentially worrying development as it leaves no clear indication of when or if the title is planned to release. Additionally, there were suggestions that the viability of the release itself was being looked into, and with the rest of the classic Doctor Who range complete there seemed a very real danger that this release could slip through the cracks and never see the light of day. So I thought it would be useful to try to organise a way to demonstrate to BBC Worldwide the release is indeed viable, and that there is still support from fans for a DVD release of The Underwater Menace! The decision to remove The Underwater Menace from the schedule was revealed in an email from the BBC DVD enquiry line. What led you to email them in the first place? The DVD release of The Underwater Menace already has a history of delays. The plan to give it a standalone release with animation for the first and final episodes was originally announced in 2013, and at the time fans seemed hopeful for an early 2014 release date. It was later confirmed for a 2014 release by the BBC and even advertised on the DVD release of The Moonbase – however, subsequently no firm release date was forthcoming. The Restoration Team made it clear that work on restoration of the existing episodes had been all but completed, and that all DVD extras had been produced and were just waiting for delivery. I saw a lot of uncertainty amongst fans as to what was happening with the release, so I decided to e-mail the BBC DVD enquiry line to see if I could get some answers. At the time, the official word was that the release was still planned and was under active development. 2014 passed without any sign of the release, barring a statement given to Doctor Who Magazine in December that the release had been pushed back to 2015, and that it was still planned to animate the two missing episodes. However, with no more word since then I’d started to see a lot of uncertainty amongst fans, including frequent queries as to whether the release had been cancelled outright. For this reason, I decided to e-mail the enquiry line again for an updated statement. Given that only two months previously BBC Worldwide had stated their commitment to the release, I was incredibly surprised to hear that the DVD had been removed from the release schedule, and that the viability of the release itself was being worked on. What do you hope to accomplish with your online petition? My hopes for the petition are two-fold: to demonstrate to BBC Worldwide that there is definitely a market for this release, and hopefully to get a firm confirmation that they still intend to release it. Although work on the existing episodes and DVD extras is all-but-complete, there’s no indication that work has progressed on any animation or reconstruction for the missing episodes 1 and 4, so whatever form they would take, time would of course need to be spent on these prior to any release. But as far as I’m concerned this isn’t a “we want it now” situation – all we want is for BBC Worldwide to confirm that they will definitely issue The Underwater Menace on DVD and are not cancelling the previously-advertised release. How many signatures are you hoping to get? To be honest, as many as possible! Our current goal is 1,000 signatures, and I think it’s really important for us to break that four-figure barrier in order for BBC Worldwide to take the petition seriously. But beyond that, the more the merrier – the higher the number of signatories, the better it illustrates that there’s market demand for the release. Why is it so important for the BBC to release The Underwater Menace on DVD? There are many reasons this DVD’s release is important for Doctor Who fans. The most obvious reason is it would give fans he chance to own Episode 2, recovered in 2011 and still unreleased officially. It’s the earliest surviving episode featuring Troughton’s Doctor, and offers the only visual glimpse of the slightly-different take on the character from his first three serials, where he was a little more prone to clownishness, and had a pronounced love of both hats and disguises, all of which pretty much disappear as of The Moonbase. Also, while I’m aware The Underwater Menace doesn’t exactly have a stellar reputation among fans, in my opinion if people are content to let Episode 2 slip through the cracks and remain unreleased it could set a precedent for future releases. Hunts are still ongoing for further missing episodes, and there’s always the potential for more finds to come to light. So if you’re someone who isn’t that bothered just because it’s The Underwater Menace, ask yourself – would you feel the same if the unreleased episode was one orphaned from Marco Polo, The Power of the Daleks or one of the other better-regarded missing serials? 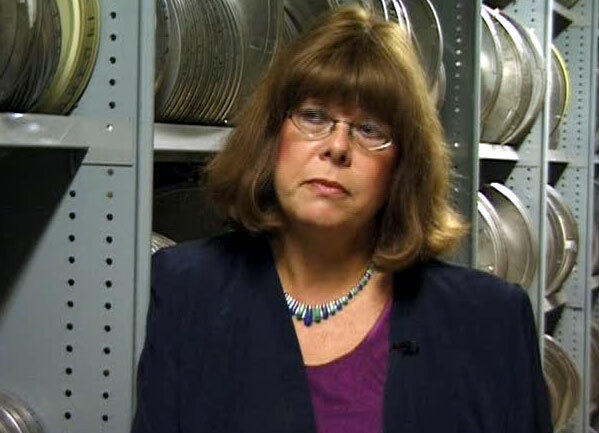 Another reason it’s important is that the Restoration Team have already completed work on restoring the episodes and creating DVD extras, and DVD is definitely the best format on which to enjoy the full fruits of their labours. If, for example, it was decided to shelve the DVD and release the story as a digital download, comparing the iTunes release of The Enemy of the World to the DVD shows that the full extent of their restoration work isn’t done justice through the digital release, thanks to a combination of lower resolution visuals and a non-interlaced format, the latter of which destroys the effect of their VidFIRE process for restoring the fluid motion of scenes originally shot in studio. Finally, BBC Worldwide have actively advertised the DVD release of The Underwater Menace on the DVD of the following serial, The Moonbase – since they’ve advertised the product, I feel it’s only fair that they deliver it to market. Who are you hoping will sign this petition, just fans of the 2nd Doctor? Not at all! Fans of Patrick Troughton’s Doctor will of course have a great interest in this release, not least because it would be the first official release of his earliest surviving episode in the role. However, they’re by no means the only group that this petition is meant for – anybody with an interest is encouraged to show their support! Any fans of Doctor Who are more than welcome, as are fans of sci-fi, of archive TV in general, or anyone else for that matter! The more people who show their support, the better we’ll demonstrate to BBC Worldwide that the release of this DVD is still viable for them. Besides signing the petition, what other ways can people let BBC WW know they want to see Underwater Menace on DVD? It’s very important that, as well as signing the petition, people also take the time to send a direct message to BBC Worldwide, if possible, expressing their interest in this release. Although the petition is a great way of showing support in numbers, it’s less likely to be noticed right away by BBC Worldwide. However, through my contact with the DVD Enquiry line I’ve been informed that the number of direct enquiries they receive regarding specific titles are periodically passed on to the relevant departments; so the more individual enquiries they receive regarding The Underwater Menace, the more of a potential market they’ll see for its release. If fans who sign the petition also take the time to directly messaging BBC Worldwide in this manner, I’ve no doubt the voices of fans who want to see this DVD released will be heard! Thanks Chris for the interview and good luck with the petition. If you haven’t signed it yet, you can head over to change.org and do so right now.